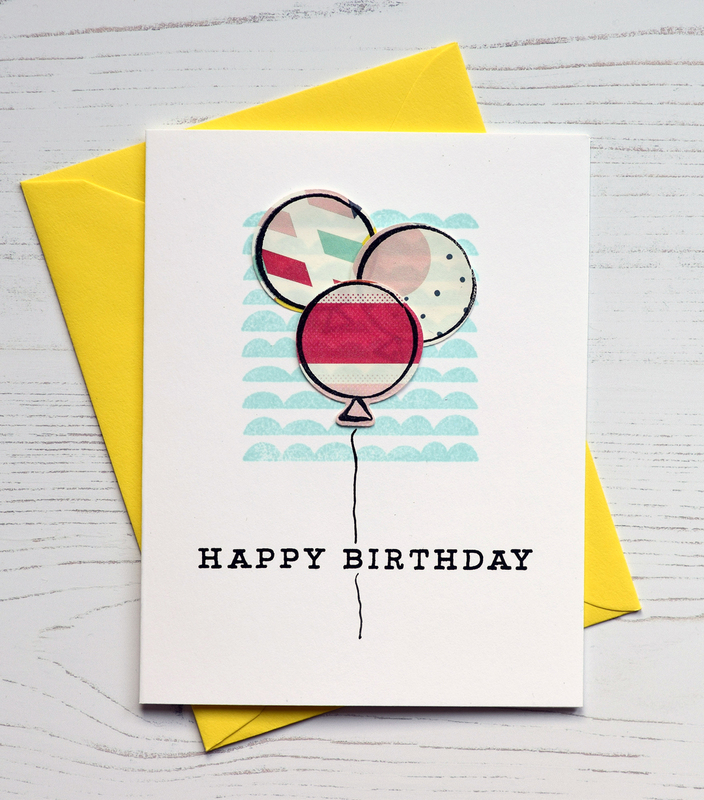 I never make balloon cards, because the strings always mess me up. Decided to ignore the number of strings. So, three balloons, one string? Yes, it was the only way to make this fun, colorful, card work. If you look closely at the balloons, you'll see that the paper is see through, which works great for balloons. It is from W R Memory Keepers Oh Goodie! Glassine Paper. Love the fun bold prints. Stamped the scallops (think clouds) from Essentials by Ellen Wonky Backdrops with Altenew Sea Glass ink. 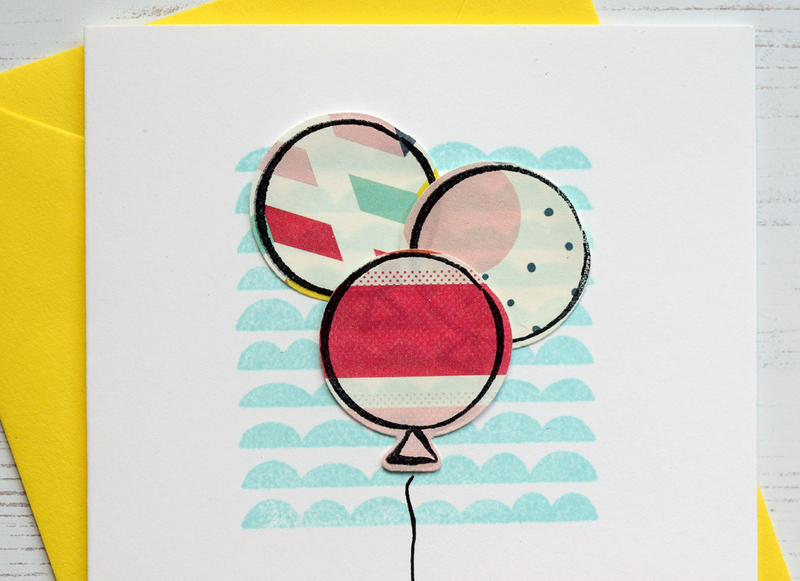 The balloon stamp and die are from Essentials by Ellen Up the Happy. All images designed by Julie Ebersole. Balloon string hand drawn. Sentiment from an old Hero Arts messages set. Envelope from Paper Source. The scallops absolutely look like clouds to me and, yes, the see-through paper is perfect for the balloons. Very fun, bright, and happy for a birthday, especially with that awesome yellow envelope. I hope you can make your appointment next week. Crazy weather!